def: cubicle (n) – kyü-bi-kəl … a small partitioned area where work (and some frivolity) is conducted. – where cube-themed words are created by anyone. Please feel free to submit your own cubealabras. 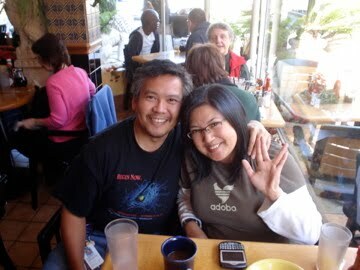 MY MUSE & BUDDY … It all started back in the day, in the mid-2000s, with my fellow ChemE buddy, Floyd (aka Stupidicus). He serves as my muse for and a past contributor of cubealabras. Since we graduated in the mid-80s, Floyd and I (aka Moronicus) continue to share rants and raves from observations during our life. We were both ChemEs when I met him, as he passed his classes the first time during my retaking of a class (or two – who’s counting?). Post-college, he was my gal-pal who stuck by me after good and not-so-good life decisions. He introduced me to napkin decision-making over curly fries and a beer. Not only was napkin decision-making a great way to pass dinner conversations but also a priceless life planning exercise. … please join us and others who occupy cubeopolis as we add new, old, and redefined cubealabras. For ease of reference, I will update this page as I add batches of cubealabras. (Get it, ChemEs?) In some cases, a cubealabra may be presented as how one may use it, e.g., the context of the cubealabra. Really? Someone came up with “CUBE-EE-DOO”? Yes, what’s your offering? What suggestion(s) do you have for an additional or different definition(s)? Or maybe you have a new cubealabras? Do share!